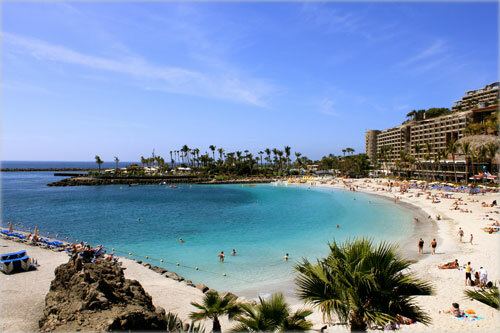 Gran Canaria Beaches: Which One to Choose? 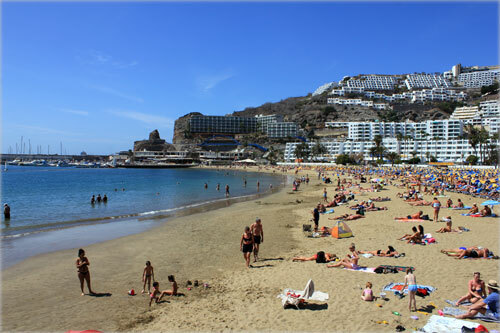 Gran Canaria Beaches are all different from each other, and here we give you a summary. The coastline is 60 km. long. Most tourists stay in hotels located in the southern part of the islands, so I'm going to start with those beaches. If you it's your first time in Gran Canaria, don't forget to follow these health tips to enjoy your holiday under the sun. 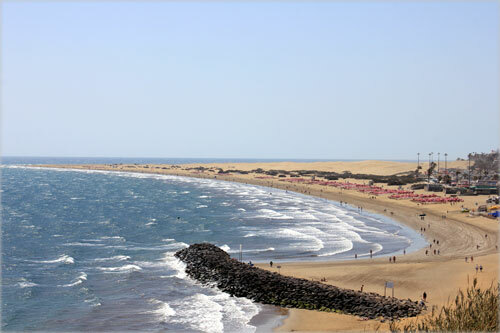 Maspalomas beach: Of all the Gran Canaria beaches, this one is world famous, especially the dunes of Maspalomas, and its photo is always on covers of Gran Canaria guidebooks. It has areas for families, nudists, and gay community. 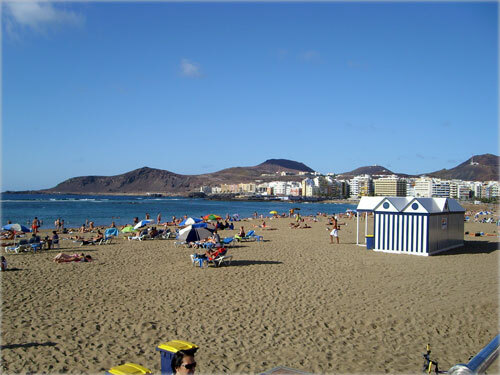 Playa del Ingles: This literally means “Englishman’s beach” and is a big beach, which can be a little windy at times, especially after four o’clock in the evening. 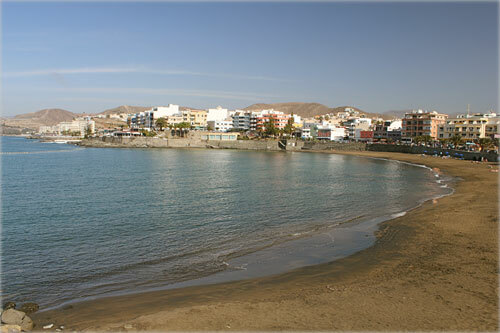 It has various Red Cross posts, a promenade with lots of shops, bars, restaurants, and stalls to rent jetskis. Surrounded by plenty of hotels, apartments, shops, discos. 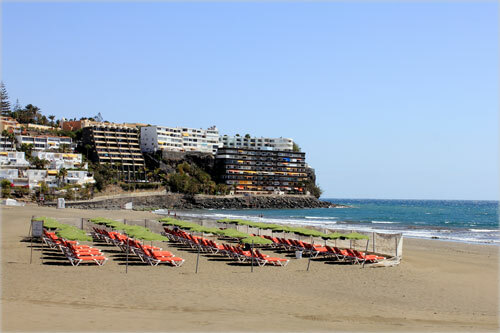 This is one of the best Gran Canaria beaches. 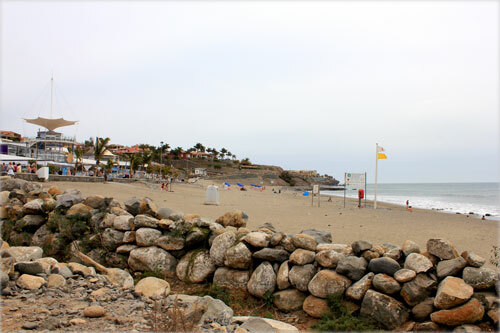 San Agustin: This is a small beach and can be quite windy at times. 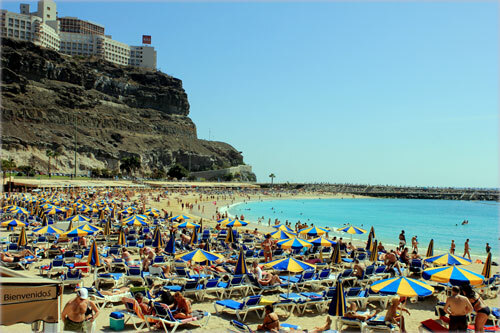 It is rarely overcrowded, and one of the first Gran Canaria beaches that became popular among tourists, especially Scandinavians. There are two Red Cross posts on either end. 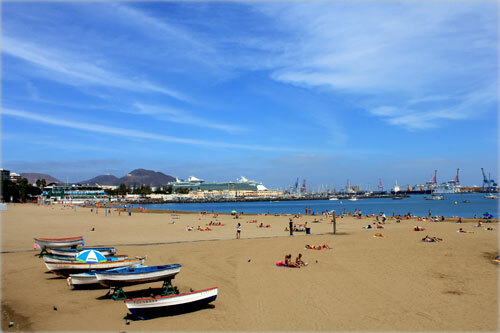 Las Palmas de Gran Canaria, the capital city of Gran Canaria, has four beaches. Las Canteras : Thumbs up for the world’s best city beach. A great place for families. Dozens of restaurants, ice cream shops, souvenir shops, etc. This beach has toilets, showers, and red cross posts. 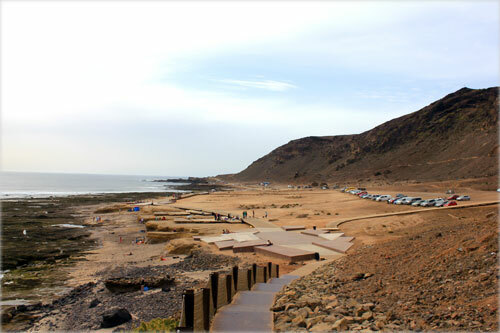 El Confital: A sand and rocks beach, great for fishing. It is a bit hard to get there by car, as one has to go through a dirt road with plenty of bumps, and only one lane for coming and going, so you may have to do a bit of back and forth driving to let others pass. Best is to go walking. 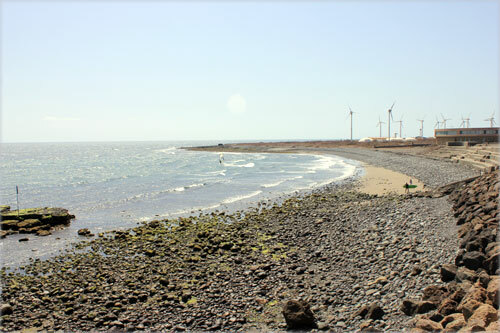 Alcaravaneras: This beach is located in front of the harbour. We recommend not to swim here as the water quality is not up to the mark. It is O.K. to take the sun, but during some parts of the day, the sun doesn’t shine on it because the buildings behind it block the rays. 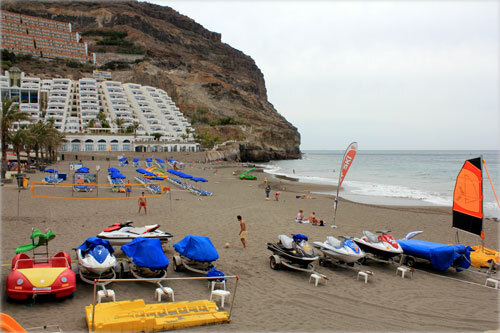 Alcaravaneras beach is a favourite for beach volleyball lovers. 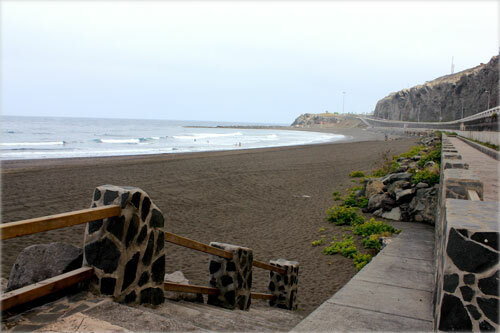 La Laja: Located near the outskirts of the capital next to the motorway, this beach has black sand, and isn’t very crowded. 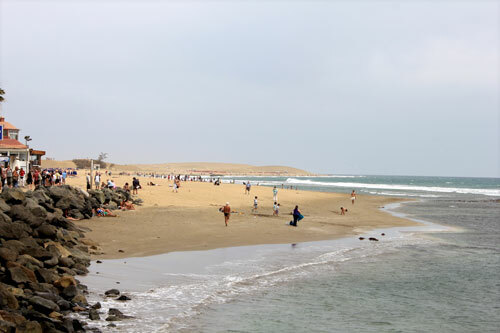 We don’t recommend this beach for children because of the rough sea and strong wind. There is no Red Cross post, but the fire brigade does show up during the day, to make sure everything is O.K. Cebu Hotel & Resorts: Fun activities and diving adventures. Cebu's pristine bluewater and white beaches with palm trees is for everyone. Come, relax and enjoy the tropical sunshine and warm smiles all around. Tropically Amazing! Sarawak tourist attractions is aplenty and widespread in Sarawak...the Land of the Hornbill. These tourist sites come in different types and styles...natural attractions...cultural sites...historical buildings and monuments and also man-made modern landscape. You can also find travelling information to and around Sarawak, accommodation and dinning outlet.